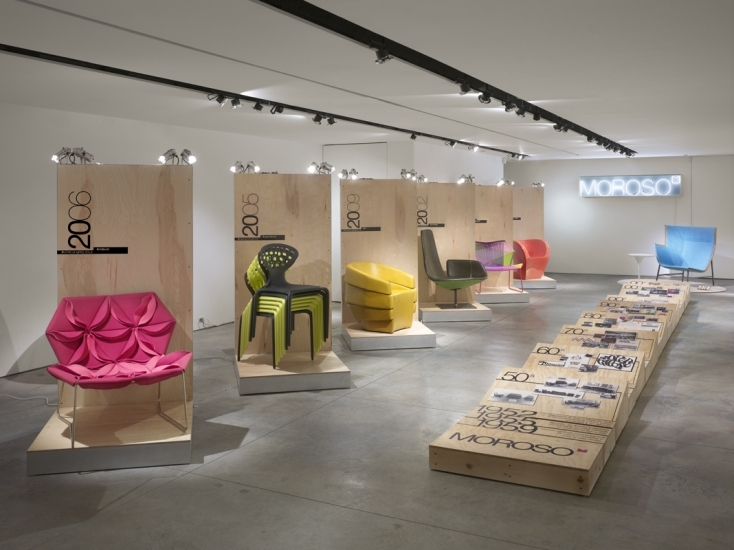 Moroso celebrated the NYC launch of its traveling show commemorating 60 years of great furniture-making history. Designed by Rockwell Group, the pop-up exhibition will tour New York through November 26, then continue on to Chicago, Philadelphia, Miami, Dallas, Los Angeles, Atlanta, Seattle, and Vancouver. 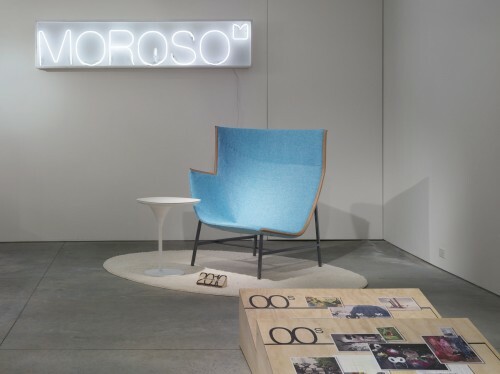 The show features 25 pieces from the Moroso oeuvre, many positioned on raw wood displays next to a timeline illustrated with images and drawings from the company’s archives. 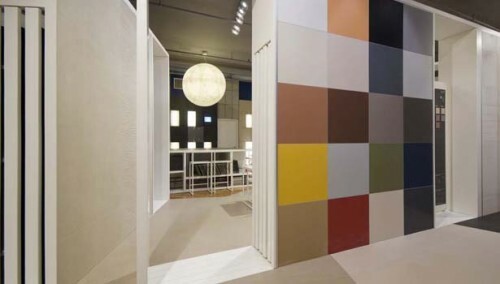 NY Stone Manhattan unveiled its new second-floor showroom dedicated to products from Italian tile manufacturer Marazzi, which will be NY Stone’s only tile supplier. 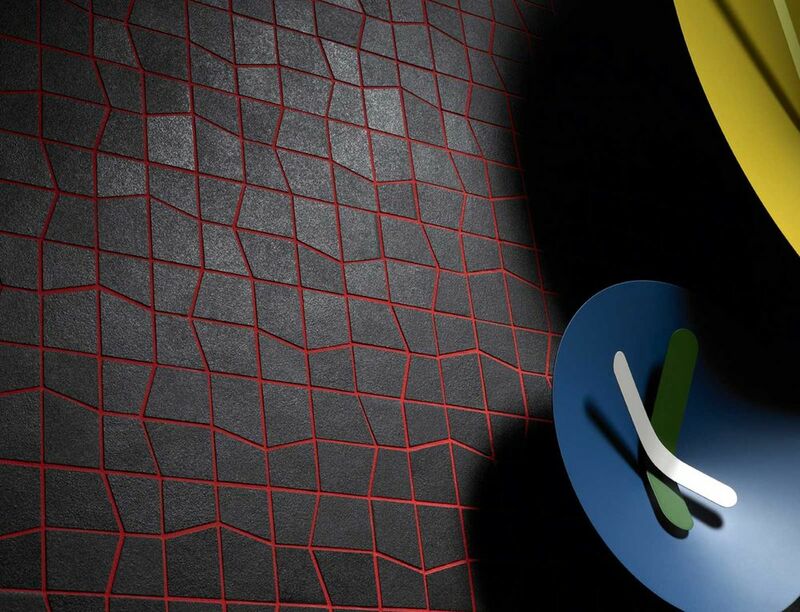 Oysters and appetizers from Le Cirque helped the tiles make a swanky splash in the high-ceilinged space, which features architectural tile and interior porcelain stoneware. 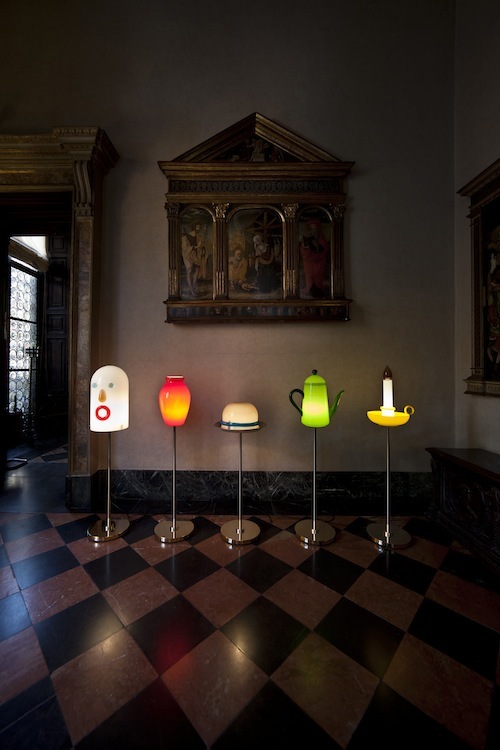 The DDC Gallery celebrated Venini’s 90th anniversary with an installation of the Italian glass-makers work, including recent pieces designed with Dutch design team Studio Job. 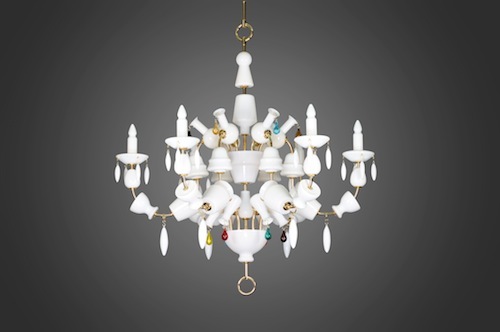 In addition to the presence of Job Smeets and Nynke Tynagel, dazzling Arnolfini chandeliers and whimsical standing lamps lit up the DDC’s Madison Avenue showroom.